I was just telling my friend Jamie the other day: you can take the girl out of the stationery, but you can’t take the stationery out of the girl :) This is my premise for using gift packages to promote launches or projects I’m working on – I LOVE giving gifts. I love curating the perfect collection of items that I think the recipient will love, especially when it’s centered around a specific theme or for an event – like a launch! Since I scrapped my physical product line earlier this year, I was itching to work something physical back into my business and sending these launch packets has been the perfect solution. In such a digital world, it’s nice to add a more personal element like a gift packet, or even just a thank you card. Today, let’s dive into some ideas for when you can use a gift packet, who to send it to, what to include, and how to package it all up – plus real-life examples for every step of the way! Think about the people in your circles that you run to when you have a win. Who do you want to share it with? Who are your “cheerleaders?” These are the ones you want to send your gift packets to – because they already love celebrating with you! Think about friends who are active on social media, and have a way to share about whatever you’re promoting. Be sure you’re sending these to people you already have an established relationship with, otherwise it can come off kind of scammy. Another important note here — give them a heads up! No one likes being caught off guard, so send a quick email asking if it's okay to ship this to them and if they're willing to help you promote it (and don't forget to get their mailing address!). It can also be helpful to send your gift packet to friends in a wide variety of industries. If you’re a stationery designer, don’t feel like you have to only send your packets to other stationery designers. If you have friends who are copywriters, photographers, web designers, wedding professionals, etc. – send it to them too! These can all help you reach a wider audience and new circles of potential customers or clients. It casts your net a little farther than if you were to stay in your own little bubble. 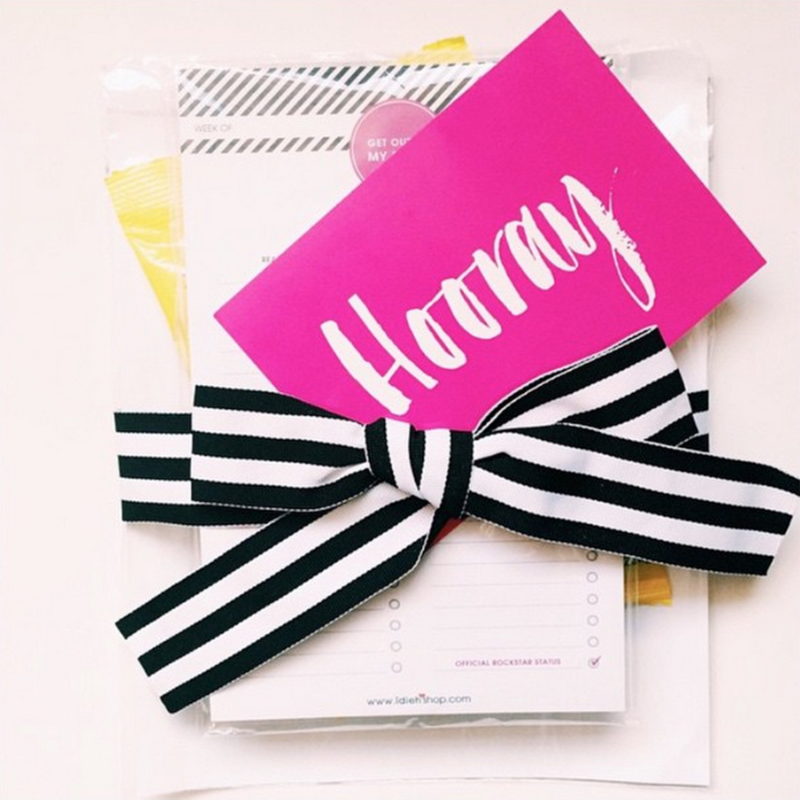 The first word of gift packet — gift! Another big purpose of your gift packet is to promote something, right?! So include something that tells your friend what you’re promoting and how they can get involved. I think this is a fun place to include a small handful of things – like a postcard about your specific promotion or launch, maybe a business card, or even some kind of sample or sneak peek (depending on what you’re promoting). Sending gift packets is a personal gesture, so take it a step further and include something meaningful and directed right to your recipient. I always include a personal note – bonus points if it's on branded stationery! It can also be a nice touch to include a tag with their name or even making the gift part of the gift packet be customized especially for them, like a personalized notepad or art print. Whatever things you choose to include in your gift packet, keep in mind that it will be mailed. A good option for quick + easy shipping is using the smallest flat rate box from the USPS. If all your items are flat, a large envelope might work fine too. Just be mindful of the shapes, weights, and size of the things you’re sending. If you can’t ship it affordably, you might want to rethink it! Think about an overall theme as you’re deciding what to include in your gift packet. For example, Heather Crabtree’s Streamline with Systems course launch packets included products that were specific to female entrepreneurs and encouragement, which is who her course was for. For the InDesign Field Guide launch packets, I went with a field-guide / outdoor theme including things like wooden pencils, a custom notebook, and a granola bar – all wrapped in kraft paper and baker’s twine. If you’re not sure what type of theme to use, an easy way to keep it all cohesive is by color. 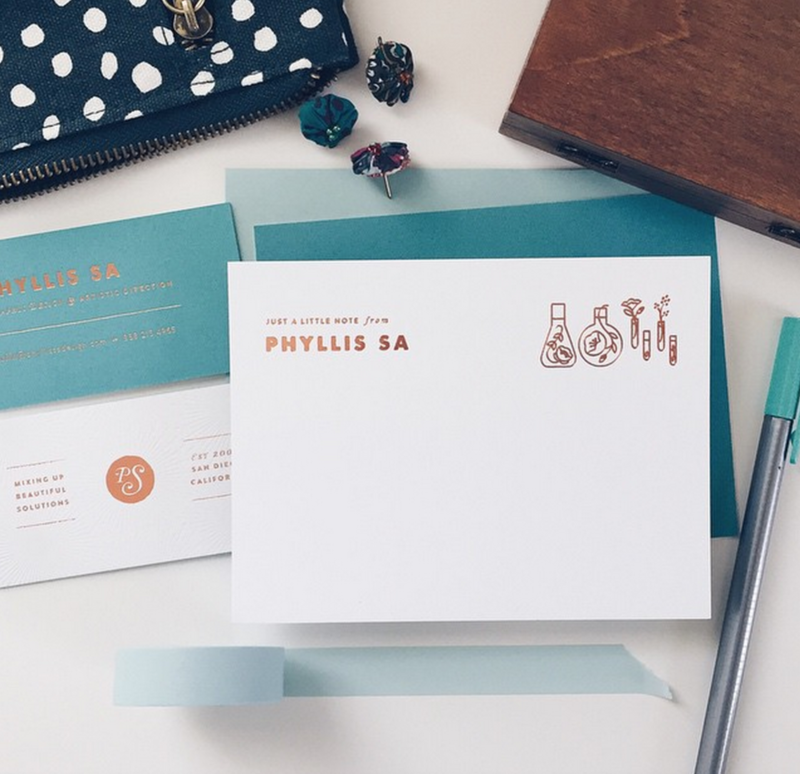 For example, for Phyllis Sa’s rebrand + website launch she used similar colors for everything she included – all matching her new brand + website. For my blog launch packets, I also stuck to a color theme that matched my Paper + Oats branding. This is the fun part! Seriously, I love this part. Embellishing with fun papers, ribbons, string, tags, envelopes, tape, bags, and other details can really bring everything together. I usually like to add a little detail like a flower or sprig of green to the outside of the wrapping. Making your presentation shine makes your recipient super excited to pull it out of the box and unwrap everything – build the excitement and get creative!